Vikrant Rathore is technology professional and an entrepreneur at heart with interest in Startups and Innovative Technology. With over 20 years of working experience in Asia, USA and Europe, at present working on his own Startup Komerco which is his attempt to organize global product information for multi-channel commerce. 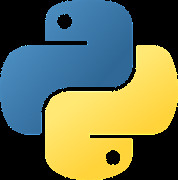 In this endeavor leveraging Python and its excellent libraries. Previously in China while working for arvato systems (part of Bertelsmann, one of the largest media and services group in Europe), he helped many multi-nationals for digital transformation and direct to consumer strategy. He also worked with Bayer in APAC region to launch their sales force effectiveness and customer relationship management program targeting healthcare professionals like doctors, nurses and hospitals. In his current work whenever necessary he leverages machine and deep learning to make decisions. How do I know if the price or rent of house in Singapore is reasonable? I recently moved to a new home. While looking for a home I checked propertyguru.com and 99.co, two most common place to look for buy/sell or rent property in Singapore. But while looking at them I wanted to see if the asking price is in-line with the actual value of the house or not. As URA (Urban Renewal Authority) in Singapore compiles the property transaction data (available as realis paid subscription or free with limited information). Based on this data I thought of writing python prgram to see if can leverage machine learning or deep learning to to train linear regression model using URA data and predict the price based on location and size of the house and compare it with asking price. In this attempt to write the program I trained linear regression model using various algorithms like Elastic Net, Random Forest and linear regression with single layer and multi-layer neural network using tensorflow. Later compared them and then used the model to predict unseen data. In this talk I will walk you through the journey of how I tried doing step by step using jupyter notebook, pandas, numpy, scipy, tensorflow, keras, matplotlib. You will see the challenges of handling categorical data for linear regression which prefer numerical data and some of the ways to avoid over-fitting or under-fitting. Consider it like a primer on machine learning for house price/rental prediction for Singapore property transactions.